Dr. Jim Bearss and the Board of Directors serving On Target Ministry are dedicated to teaching the Bible to National Pastors overseas. We are a faith-based ministry founded on the "teaching faithful men" principle of 2 Timothy 2:2. Our support comes solely from those who care about International Education. We invite you to become a valuable member of our Support Team! 2. God’s Word tells us how to do it! In 2 Timothy 2:2, God tells us how to effectively and efficiently spread His Word around the world, “And the things that you have heard from me among many witnesses, commit these to faithful men who will be able to teach others also.” This is the model for missions that God has given us. If we take the Bible seriously, we must follow it. On Target Ministry has followed this model, and we have seen God use the teaching of His Word to encourage and equip national pastors all over the world so that they are better servants of God in the countries where they live. This model was used by the apostles to impact the ancient world in a powerful way, and this model works just as well today. Indeed, “teaching faithful men to teach others also” is the missions model of the 1st and 21st century! 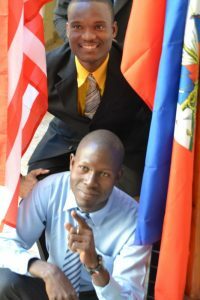 On Target Ministry has a single focus: “Train national pastors overseas in the things of the Word of God.” Our ministry provides biblical teaching to groups of pastors and Christian workers in countries where Bible education is either unavailable or unaffordable. Our procedure includes organizing the course modules, enrolling students, providing course materials in their native language, and teaching. We make no charges for these courses, and we generally pay all the expenses of food and lodging for the students. 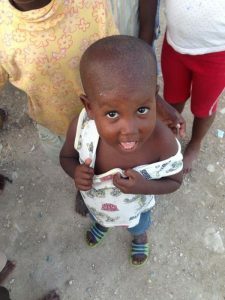 Our current project is to establish the Haiti Bible Institute. We are looking for sponsors who will commit to supporting pastors for their four-year educational program. This commitment is $800 a year for four years. Let us know if you will help us. Presently, we have 11 pastors supported. We need 14 more sponsors by Spring 2009.